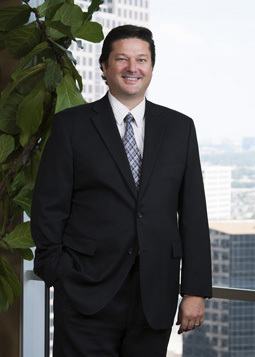 James T. Phillips has represented clients in complex litigation involving commercial matters, construction defects, products liability, insurance and tort claims since 1995. He joined Cantey Hanger in 2004. Resolved case involving representation of Plaintiff homeowners in negligence and products liability lawsuit for alleged property damage arising from installation of spray polyurethane foam (“SPF”) insulation in the attic of their high end custom home. After installation, Plaintiffs alleged the air in living areas of the home exhibited high levels of compound used as the primary flame retardant in the SPF insulation product. Suit was filed against manufacturer of SPF product for negligence and products liability based on alleged product design defect and alleged failure to warn of propensity of flame retardant to off-gas from product after installation. Suit was also filed against installer of SPF insulation for alleged misrepresentation of the brand of product being installed. Lorie and James Johnson v. ABR Greenday, LLC d/b/a Smart Seal Foam Insulation, Polyurethane Systems (USA), LLC, f/k/a Demilec (USA), LLC, and Demilec (USA), Inc.; Cause No. C201400080; 413th Judicial District Court of Johnson County, Texas. Defended London Insurance Broker in Grayson County, Texas lawsuit against claims of negligence, fraud and statutory violations relating to broker’s role in procuring Lloyd’s of London insurance policy for marina. Plaintiff marina’s pre-suit demand exceeded $20 million. The case was tried to a jury verdict and a take-nothing judgment was entered in favor of broker. Successfully briefed the case on appeal on behalf of broker which resulted in trial court’s judgment being affirmed. Insurance Alliance v. Lake Texoma Highport, LLC and Bowood Partners, Limited., 452 S.W. 3d 57 (Tex. App.—Dallas 2014, pet. denied). Defended civil engineering firm against claims of negligence and breach of contract by municipality relating to design of wastewater treatment plants. The case was tried to a jury verdict and a take-nothing judgment entered in favor of client engineering company. Successfully briefed adverse judgment from Dallas County, Texas trial court resulting in foreclosure on behalf of residential property owners and obtained remand to trial court for further proceedings. Murray v. The Cadle Co., 257 S.W.3d 291 (Tex. App.—Dallas 2008, pet denied). Obtained summary judgment in favor of foundation engineer in professional negligence case pending in Rockwall County, Texas. Obtained summary judgment in favor of foundation engineer in professional negligence case pending in Kaufman County, Texas. Defended pipe manufacturer in wrongful death claim in Orange County, Texas, for gross negligence arising from industrial accident. Obtained summary judgment on behalf of client. Successfully briefed and argued case in court of appeals resulting in trial court’s judgment being affirmed. Sanchez v. S&T International, Inc., 2000 WL 1062322 (Tex. App.—Texarkana August 4, 2000, pet. denied). Performed damage tolerance and fatigue analysis on various commercial aircraft components as a structural engineer for the Boeing Company in Seattle, Washington. Developed inspection criteria and intervals in support of Boeing’s aging fleet program, designed to enhance safety of flight in older aircraft. Performed fatigue analysis on helicopter components as a structural engineer for Bell Helicopter Textron in Ft. Worth, Texas. Determined retirement lives for various aircraft components, conducted analysis on fatigue test results for various components and materials, and supported flight test operations. Also admitted to practice before the United States District Court, Northern, Eastern, and Southern Districts of Texas, and the United States Court of Appeals, Fifth Circuit. Mr. Phillips participates annually in fundraising activities in the Dallas area for the Muscular Dystrophy Association.